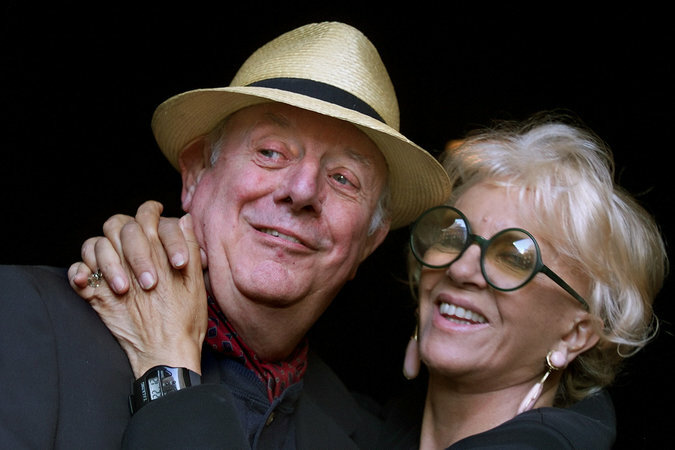 ARTFARM invites theater activists and comedy enthusiasts to gather to honor the life & legacy of the iconic Italian actor/playwright/activists Dario Fo and Franca Rame. This tribute will take place at the Buttonwood Tree in Middletown on Thursday, December 8 at 6 pm. The Politics of Laughter: A Tribute to Dario Fo and Franca Rame will be introduced by Wesleyan Theater Professor and Fo scholar Ron Jenkins, and will feature readings by actors from ARTFARM’s Ensemble, including Artistic Director Marcella Trowbridge, Executive Director Dic Wheeler, and actor John Basinger (known to Shakespeare in the Grove audiences as King Lear in 2014). This will be an evening of comedy, memory and celebration. Italian actor/playwright/director/painter/designer/activist/Nobel Laureate Dario Fo died on October 13 of this year at age 90; his wife, actor/playwright/activist Franca Rame, passed away in 2013. They had been married and creating theater and havoc together in Italy and throughout the world since 1954. Their unique brand of satirical theater serves as an inspiration for activists and theater makers around the globe, not only for the past sixty years but into the future. Up to their deaths Fo and Rame remained as thorns in the side of Italy’s Prime Minister Silvio Berlusconi, a billionaire turned politician who was repeatedly accused of misogyny, womanizing, corruption, and was ultimately brought down by a tax evasion indictment. Ron Jenkins is Professor of Theater at Wesleyan University and a Visiting Professor at Yale. He had been the chief American translator of Fo and Rame (both for their written work and in performance) since the 1980’s, and is one of the pre-eminent scholars on their work in this country. He will discuss their work and legacy, as well as share some video selections of Dario Fo onstage at the Joyce Theater in New York. This will be followed by live readings of selections of the works of both Fo and Rame by members of ARTFARM’s Shakespeare in the Grove Ensemble. Attendees are welcome to bring short selections or Fo/Rame experiences to share, or simply to come and listen. ARTFARM is a Middletown-based non-profit theater company, founded in 2001, which cultivates high-quality theater with a commitment to simple living, environmental sustainability and social justice. For more information, contact info@art-farm.org or call (860) 346-4390.